Sign up to PNC Bank Virtual Wallet Savings Account to earn up to $400 savings bonus with a performance select account and direct deposit of $5000 that’s valid through 12/31/2015. PNC Savings account offers no monthly service charge when you meet the qualifying direct deposit, and checking, short-term savings and long-term savings all in one place. Early Termination Fee: There is a $25 fee for closing the account within 6 months of opening. Don’t forget to do one online bill pay within the first 3 months. 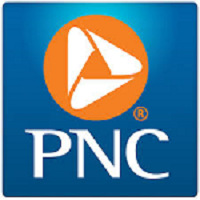 See our full review of PNC Bank Virtual Wallet $400 Savings Bonus for more details. online bill payment with Citibank Online, and free mobile banking with Citi Mobile, preferred rates and exclusive rewards and savings. Don’t forget to deposit $50K or more within 30 days of account opening. Then keep your deposit within your account for the next 30 days. 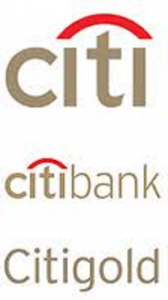 See our full review of Citibank Citigold $400 Checking Bonus for more details. Sign up Bank of America Business Checking to earn $300 bonus, you must open a new business checking account with qualifying deposits, and pay 2 online bills, then open a merchant services account. With a Bank of America Business Checking account, you get online banking and online bill payment, mobile banking, quick deposit, quick pay and instant alerts. Don’t forget to talk to a Small Business Specialist and mention the LegalZoom Business Customer promotion to see if you can qualify. 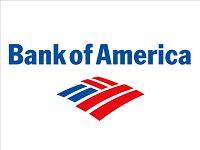 See our full review of Bank of America $300 Business Checking Bonus for more details. Sign up Chase Total Checking and Saving to earn $250 bonus with direct deposit valid until January 15, 2016. With a Chase Total Checking&Savings account, you get online banking and online bill payment, mobile banking, quick deposit, quick pay and Chase instant alerts. You get a Chase debit card and access to more than 15,500 Chase ATMs and 5,400 branches. Don’t forget to set up checking direct deposit and a savings account with $10,000 opening deposit to earn your $200 checking bonus within 90 days of account opening. Must be able to maintain $10,000 savings balance requirement to get an extra $100 on the $150 bonus you receive from the checking bonus. See our full review of Chase Total Checking $250 Bonus for more details. Sign up Chase Premier Plus Checking to earn $300 checking bonus with direct deposit valid until January 15, 2016. With a Chase Premier Plus Checking account, you get online banking and online bill payment, mobile banking, mobile deposit, and and Chase instant alerts. You get a Chase debit card and access to more than 15,500 Chase ATMs and 5,400 branches. Don’t forget to set up direct deposit with a $25 minimum opening deposit to earn your $200 checking bonus within 60 days of account opening. See our full review of Chase Premier Plus Checking $300 Bonus for more details. Sign up Fifth Third Bank to earn $200 checking bonus with direct deposit and three online bill payments valid until January 16, 2016. With a Fifth Third Bank Checking account, you get online banking and online bill payment, mobile banking, mobile deposit, and and Fifth Third instant alerts. You get Fifth Third debit card and access to more than 2,600 free Fifth Third ATMs. Don’t forget to set up direct deposit $100 minimum and do three bill-payments to earn your $200 checking bonus within 90 days of account opening. See our full review of Fifth Third Bank $200 Bonus for more details.